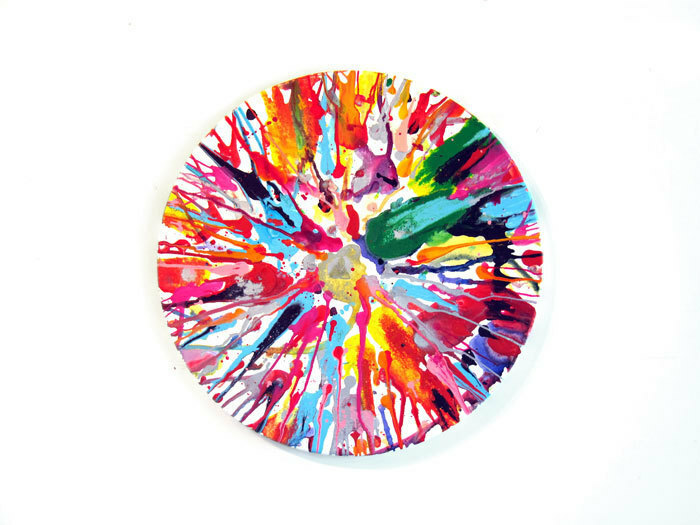 I had looooads and looooads of fun making this spin paintings with Dad. We used so much paint and it splashed everywhere. I love all the bright colours, it looks like my paints exploded!!!!!! If you want to see how I did this painting click here.